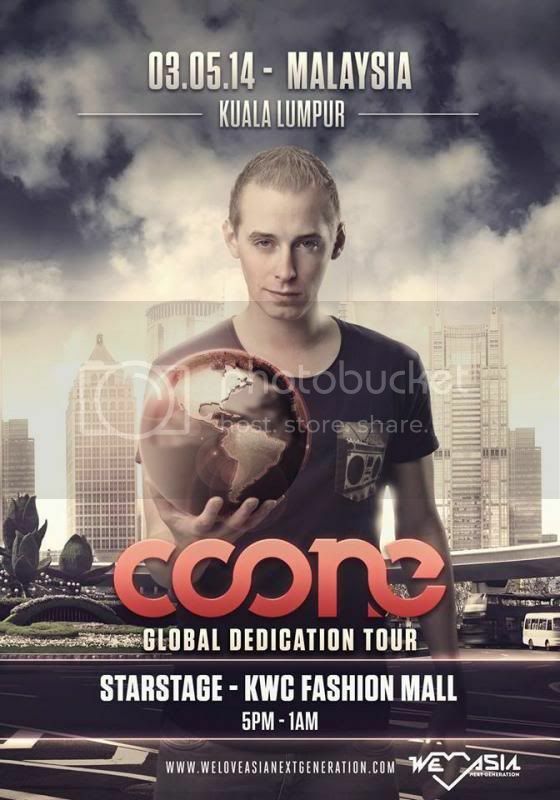 DJ Coone whose real name Koen Bauweraerts, is a Belgian jumpstyle and hardstyle producer and DJ and been in the DJ Mag Top 100 DJ's. 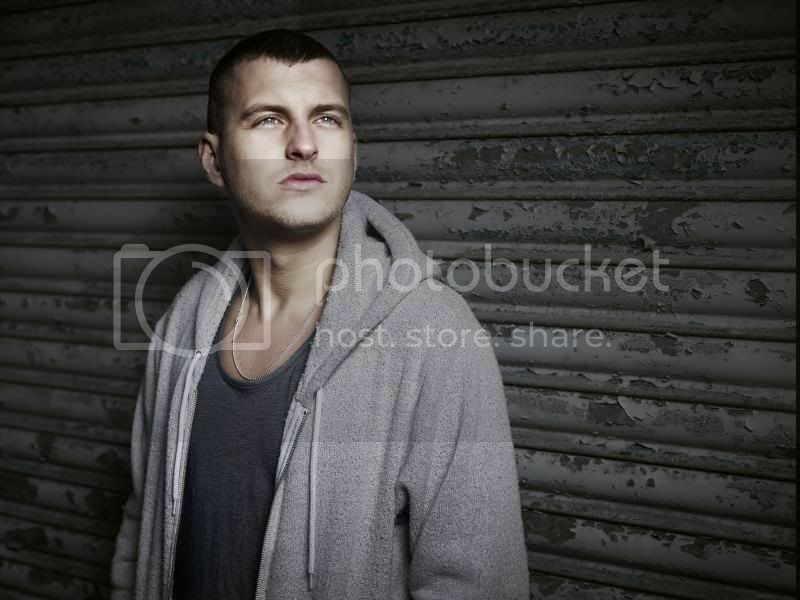 He has been producing since the year 2002, when he started with hard house productions. Now, he is the owner of the label Dirty Workz, which releases jumpstyle and hardstyle music and also has a project with DJ Fenix called "Ambassador Inc". Punching well above his years, D.O.D is standing on the edge of becoming an international sensation within club circles. Already finding plaudits among Tiesto, Laidback Luke, David Guetta, Eddie Halliwell, Steve Aoki and Hardwell, his fresh faced beats stalwart has also managed to secure himself a residency with Mixmag for their club and Ibiza tours.With a DJ style that can only be deemed as inimitable, in-your-face turntable wizardry, D.O.D has managed to secure a wide cross section of fans with his music – which sets about fusing the lines between everything House, Electro, Progressive and Techno. 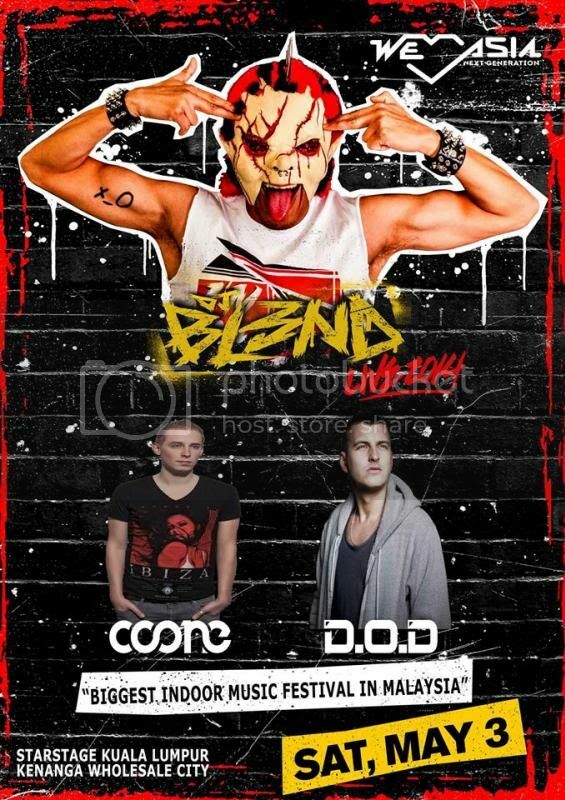 DJ Bl3nd is the only DJ in the world to have a global following of millions, while never having left the United States. Driven by his passion to spin the music he loved for a larger audience, Bl3nd began handling out mix-tapes to local clubs and promoters in 2009. Seeking another means of sharing his passion with the world, Bl3nd began creating live videos of himself dancing and spinning energy filled, hard hitting beats in his now signature mask. Posting on YouTube, BL3ND’s videos quickly went viral. In less than three short years, BL3ND has become an unprecedented story of do-it-yourself success. The early bird tickets have already sold out. 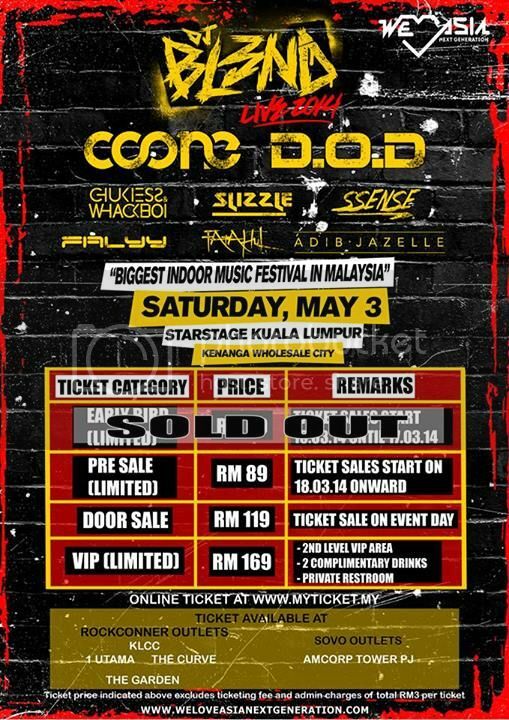 =/ But don't fret as you can grab your pre-sale tickets which is only RM89. Get it fast at the RockCorner Outlets in KLCC, One Utama, The Curve and The Gardens and SOVO outlets at The Amcorp Tower, PJ now!